Cambodia's Foreign Ministry said Wednesday it decided to forbid activities of the National Democratic Institute (NDI), a US non-profit organization, on the country’s territory as well as to expel all of its foreign staff members. "The Cambodian competent authorities … have reached the decision to stop the operation of the National Democratic Institute (NDI) in Cambodia and to expel its foreign staff from the Kingdom within seven days after the official notification of this decision," the statement reads. The Foreign Ministry explained the decision by the fact that NDI failed to register with the tax administration, and continued its activities "with total contempt" while the authorities’ decision was still pending. 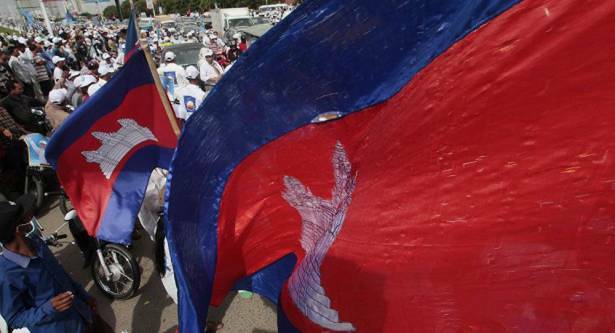 According to media reports, among other reasons behind the decision could be NDI’s alleged links to Cambodian opposition parties as well as recently increasing tensions between the Cambodian government and non-governmental organizations (NGOs) supported by the United States. Earlier in the month, local media reported that members of Cambodian human rights groups and NGOs were facing a wave of threats, abuse and surveillance, as the general election in the country approached.